Learn how to keep your veins healthy for long-term well-being. Visible, bulging veins in the legs are not only embarrassing for most people, they can also be unhealthy and, if left untreated, could create serious health issues. Recent studies show standing for work and other activities may be problematic for the body in the long term. As many Hawaii residents have experienced, the demands of standing on your feet for extended periods of time may take a huge toll on legs and ultimately, vein health. A Diplomate of the American Board of Venous and Lymphatic Medicine (ABVLM) and a member of the American College of Phlebology, Dr. Chung has been treating the local community since 2007. Passionate about improving a patient’s quality of life by treating venous disease through education and awareness, Dr. Chung has some important tips on what patients should know when trying to manage varicose veins and other ailments. The technological advancement in treatment of vein disease has improved outcomes with less downtime and less invasive medical treatments. Vein care is now performed in medical clinics rather than hospitals. If pain in legs is due to varicose veins, it must be further investigated. Untreated vein disease progressively gets worse over time, affecting quality of life. Ask your physician if he or she is a Diplomate of ABVLM, which signifies a vein specialist in the diagnosis and treatment of venous disease. Any physician can offer treatment for varicose veins, but it is important to choose a provider who spends a majority of their practice on diagnosing, assessing and treating vein conditions. A Diplomate of ABVLM indicates that the physician is committed to the highest standard of care, ongoing vein education, and whose primary interest is in the improvement, treatment, and maintenance of the patient’s venous disease; not scheduling unnecessary treatments for profit. The other key factor in choosing a physician is the equipment used to treat venous disease. The physician must have innovative, state-of-the-art equipment to treat vein conditions in the least invasive way possible. The physician must use the most current technology available, ensuring the patient has minimal discomfort and little to no downtime after the treatment. 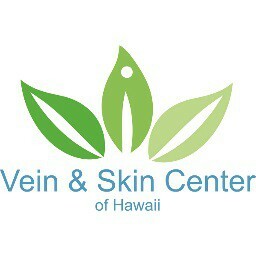 The Vein and Skin Center of Hawaii offers innovative Endovenous Laser Ablation (EVLA) treatment and Mechanochemical Ablation (MOCA – ClariVein) which effectively treat venous reflux in saphenous veins to prevent the development of more serious health risks from occurring. Varicose veins can also occur as a result of the failing valves in the refluxing veins to cause blood to flow in the wrong direction. The treatment of venous disease as a result of venous reflux is covered by private health insurance such as HMAA and others, as well as Medicare. EVLA and MOCA are much quicker and far less painful than other surgical options, requiring no hospitalization with patients returning to regular activity the same day with very little down time. To make your appointment, give us a call (808) 949-8346. Printer-friendly version can be found here. Receive $50 in credit toward another service when you purchase a miraDry or Kybella treatment.